Malnutrition is a known risk factor for early hospital readmission amongst geriatric patients. Identifying and improving the nutritional status of an admitted patient to the hospital is of utmost importance. The significance of monitoring nutrition can be compounded even more when patients are having surgery. Hospitals across the United States and worldwide must evaluate patients at risk for malnutrition and medical algorithms can help to streamline the screening process and improve the nutritional status of admitted patients. Screening adults admitted to a community hospital for malnutrition using the Nutrition Screening Equation (NSEq) Using serum albumin, white cell count, and body weight, the need for a dietician can be ascertained and automatically triggered within a hospital EMR system. Identifying nutritional factors predictive of early nonelective readmission in an older adult Predicts early, non-elective readmission between 1 week and 4 months after initial discharge. Identifying a critically ill patient who is likely to benefit from aggressive nutritional support using the NUTRIC score Identifies patients, including those on mechanical ventilation, that would benefit from aggressive nutritional support. Nutrition Assessment Grid for Evaluating an Elderly Patient for Malnutrition Utilizes multiple laboratory values along with patient’s endorsement of known risk factors for malnutrition to assess for significant malnutrition shortly after admission. 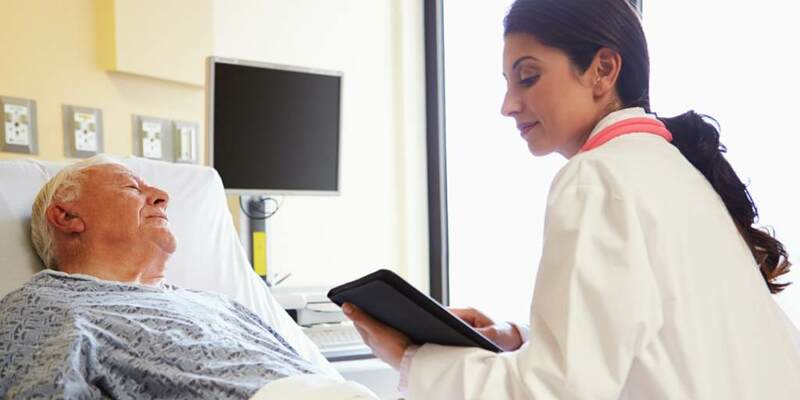 Recently, 75% of hospitals in the United States failed the Centers of Medicare and Medicaid Service’s (CMS) hospital readmissions reduction program. Those hospitals will be subject to a 1-3% reduction in Medicare payments. Using nutritional screening tools along with laboratory data, hospitals can identify and begin to improve the nutritional status of their admitted patients. The medical algorithms, available online or via iOS and android app can be quickly accessed by any member of the healthcare team. This will enhance clinical decision making and may reduce the chances for hospitals to be penalized through the Affordable Care Act’s Hospital Readmission Program.